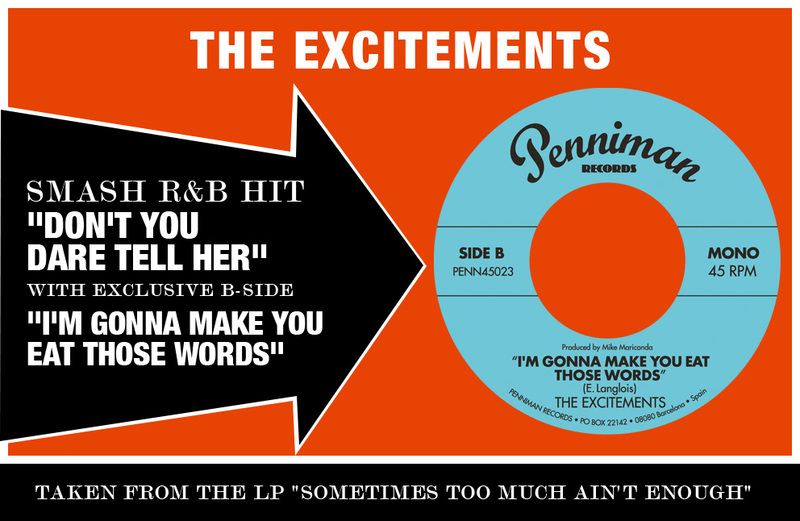 We are proud to present you yet another seven incher from the acclaimed “Sometimes too much ain’t enough” sessions, backed with an incredible foot tapping R&B mid-tempo which has been a staple of The Excitements’ live performances for years now: “I’m gonna make you eat those words”. This is probably the band’s most elegant release in 45 format, bound to be another DJ delight in any downtown soul party. Out now on Penniman Records!